The saddest thing about tonight's vote on extending the time a person can be detained, without charge, is that it appeared to have the support of much of the British public. These are presumably the same people who believe if you have nothing to hide, then you have nothing to worry about; people who naively believe that a government always acts in the best interests of the people. This is not a vote that will enhance our security, more a propaganda victory for extremist groups who have now managed to curtail our liberties by proxy. It is based on specious evidence and didn't even command the support of the Scottish Lord Advocate, Elish Angiolini, who shares the view of the Director of Public Prosecutions and the former Attorney General Lord Goldsmith "that the requirement for an extension to the current 28 days is not supported by prosecution experience to date." This vote is not an act of strength but of fear. Perhaps it wasn't a perfect day but it was still rather good. Lauren had her swimming lesson this morning; if she could just remember to put her head above water and breath occasionally she could be… well she already is amazing so why wish for anything else? I got to exercise early in the day rather than guiltily trying to fit it in late in the evening. No trip to the garden centre. No trip to The (dreaded) Mall. Lauren and I went to the park for an hour or so, played on the swings, we even had an ice cream. The weather was great so I didn't mind stopping off at Tesco before walking home. Walking... imagine that! Lauren behaved herself. Imagine that!! There was football in the evening. Doctor Who was great (about time). There was more football. 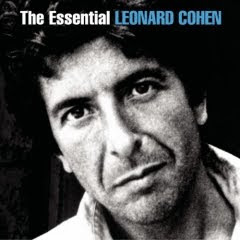 I'm listening to Leonard Cohen with a smile on my face. What's going on?